Attention collectors and fans: I'm selling a Pachirisu plush on Ebay! Hello fellow Pokemon enthusiasts. 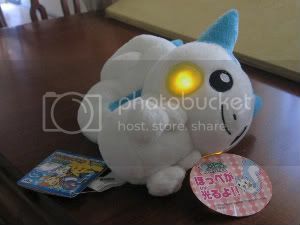 I'm selling a Pokemon Diamond and Pearl Pachirisu plush on Ebay.